Porcelet is milk-fed piglet - exclusively available in the U.S. at D'Artagnan- from a small family farm in Quebec that follows European protocols, feeding Yorkshire-breed piglets a proprietary milk formula that allows them to thrive and grow larger than the average suckling pig. They provide the best environment for the piglets, use humane standards and no added antibiotics, hormones, or growth stimulants. 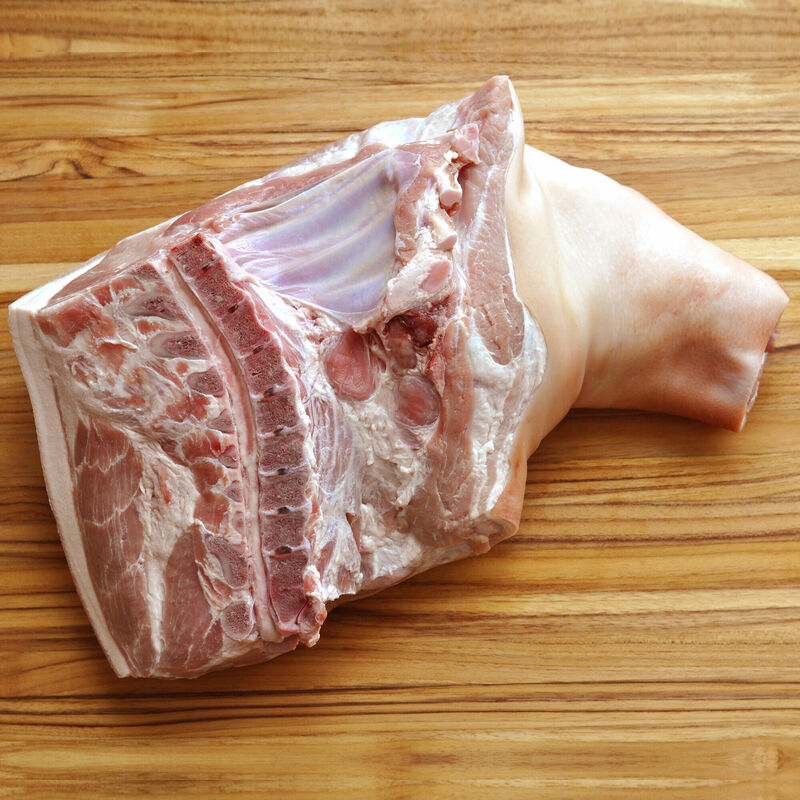 Porcelet is the most tender, sweetest pork you’ll ever taste. Exclusively raised for D'Artagnan by a family-owned farm in Quebec which follows European protocols for cochon de lait, or milk-fed pig. Their small-scale farm humanely raises Yorkshire breed piglets in spacious barns, nourishing them with a unique feeding program. The piglets get a proprietary milk solution while maintaining a natural nursing rhythm. This diet allows them to thrive and grow for longer periods of time, getting larger than the average suckling pig, while maintaining tender texture.